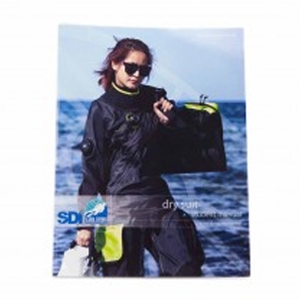 THE SDI DRY SUIT MANUAL IS A TEXT-BOOK LITERARY ASSISTANT TO THE SDI DRY SUIT CERTIFICATION COURSE. By signing up for this course, the perspective student will gain valuable information regarding the proper use of a dry suit in the diving environment, as well as an in-depth guide to purchasing your own dry suit. Detailed within this fourth edition of Dry Suit Diving are various chapters including a history of diver thermal protection, selecting a dry suit, dry suit valves, dry suit underwear, and finally how to put on and remove your dry suit. Using the Dry Suit manual as a reference, students may utilize the Knowledge Quest Work Booklet by answering the provided questions with the most appropriate and accurate answers.